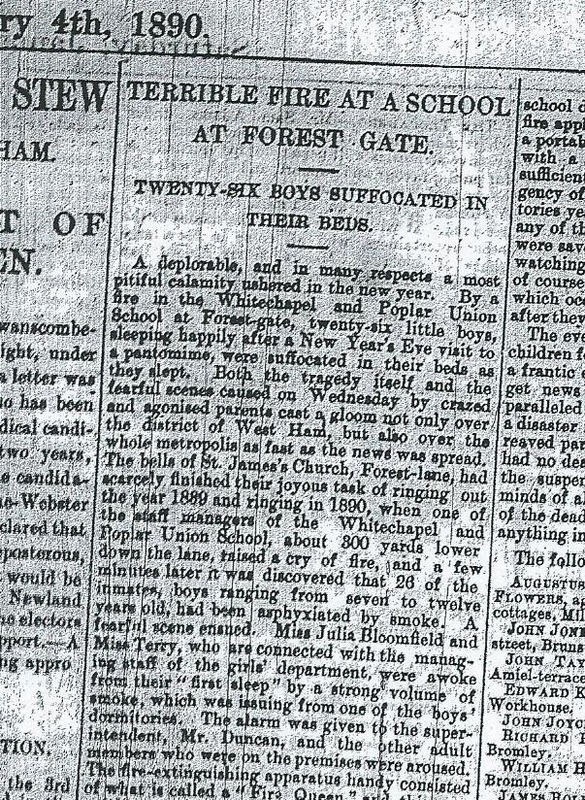 This is the Stratford Express report fire that suffocated 26 pupils at Forest Gate Industrial School on New Year's day 1890. This was in the pre-tabloid press era, so there was a lack of sensationalism in the reporting, and the account was very detailed. It is most moving, and well worth the lengthy read involved. There were no photographs of the fire, or related matters in the newspapers at the time - the technology would not allow it. This was, however, a massive story, by any standards. Clippings from other local newspapers that sprinkle the text show the measure, non-hysterical and populist way in which this tragedy was reported locally. Among the photographs produced below are those of the memorial to the deceased, which stands in West Ham cemetery, almost behind the site of the school, and the inscription on the base of that memorial. 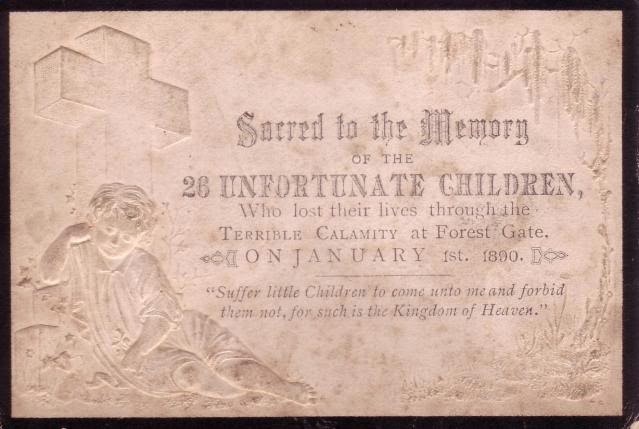 There is also a reproduction of a memorial card, which would have been produced as a fund raising activity, to support the relatives of the deceased. The Forest Gate School Buildings, situate in the middle of Forest Lane, will be familiar to all our readers. They are occupied by children belonging to the Whitechapel Union. On Tuesday midnight these were the scene of a fearful calamity - unprecedented in the history of West Ham. About twenty minutes past twelve o'clock a fire was discovered raging in a building consisting of three floors, measuring 90ft. by 40ft., by Miss Julia Bloomfield. 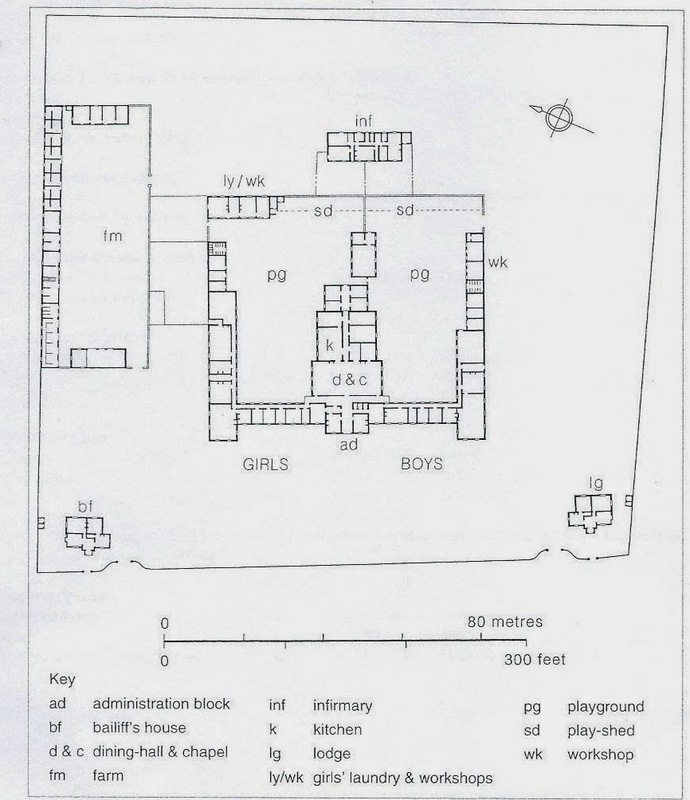 The lower floor is occupied as a sewing room and wardrobe, and the two upper floors as boys' dormitories and in these 84 children were sleeping. Immediately on the discovery of the fire she gave an alarm to the superintendent, Mr. Duncan, who dispatched messengers to the Forest Gate fire station and the hose reel and escape were in attendance at 12.47. Mr. Duncan, in the meanwhile, got a hydrant to work and succeeded to some extent in subduing the flames. Messages were also sent to the other West Ham fire brigade stations, and three steamers were quickly on the spot. The Forest Gate escape was put up to the dormitory windows, but the heat and smoke were so intense that it was impossible to effect an entrance. On the arrival of Superintendent Smith, Mr. Duncan handed the hose to him, and the steamers then got to work. Mr. Smith went inside the building with the hose, and eventually succeeded, with the aid of the steamers, in subduing the flames. It was then found that no less than twenty-six children had perished. On Mr. Duncan and Mr. Smith going round the dormitories they found the whole of the doors locked on the outside. Enquiries made on the spot later in the morning showed that the early accounts of the calamity did not exaggerate its awful particulars, and though nothing positive can be ascertained as to how the fire originated, nearly everybody agrees it must have been due to some defect in the stovepipe of the needle room. That room is warmed by a stove in the middle. The pipe from it goes up about ten feet, and then is taken at right angles through a wooden partition into the wardrobe room, where it enters the chimney. It had been swept the day before, and it is conjectured that some ignited soot must have escaped from a defective place in the pipe, and that falling upon the clothing, it smoldered for hours before breaking out into a fiercer conflagration. 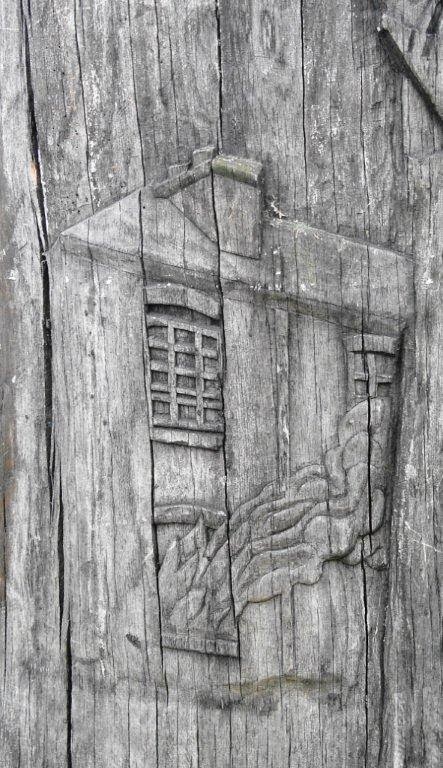 About half-past twelve o'clock a railway guard named James Larter was walking down Forest Lane when he observed one of the chimneys apparently on fire, and seeing that the flames burnt fiercely and threatened to attack the roof, he blew his whistle loudly with the object of attracting the attention of the police. Without waiting to see whether or not his signal was attended to, and having failed to arouse the gate porter, he scaled the garden fence and ran up to the house. He then found that the fire had already been noticed, and that the inmates were aroused, and he joined with them in rescuing the sleeping children from their perilous position in the dormitories above the burning room. About the same time that Larter had noticed the fire from the outside Miss Bloomfield, who has the charge of the wardrobe room, and was in her bedroom which adjoins the boys' dormitory on the first floor, was alarmed by a strong smell of smoke. Going downstairs she was startled to find that the partition, which divides the wardrobe room from the needle room, was on fire. She immediately ran back and aroused Miss Terry, who was sleeping near her room, and having obtained possession of her keys, she at once went and alarmed Mr. Duncan, the superintendent. The officers in charge of the dormitories, who alone, with the exception of the superintendent, had keys which will open the various sleeping rooms and wards, were appraised of their danger, and the work of rescuing the children commenced. In the meantime, however, the fire was making dangerous progress amongst the clothes and stores with which the shelves of the wardrobe room were packed, and already the woodwork and fittings were well alight. A dense suffocating fire arose from the fire smouldering in the blankets and woollen clothes, and to it most of the fatalities are to be attributed, for out of the 26 children whose deaths it is our melancholy duty to report, 24 were suffocated. Mr. Duncan on being aroused by the alarm of fire seized one of those small portable fire engines called the "Fire Queen," and made the first assault upon the flames. He attempted to ascend a staircase leading to one of the dormitories but was baffled for a time by a dense cloud of smoke which every moment increased in volume. By crawling on his hands and knees he reached the door of dormitory No. 9. He shouted to the boys but received no answer, and then overcome by the smoke he fell down the stairs. Quickly recovering himself, however, he again attempted the extinction of the flames. By his directions a hydrant was fixed, and in this way a check was kept on the flames until the arrival of the fire engine. The fire itself was not very extensive and was confined to the building in which it broke out, this an annexe at the back of the school which comprises the wardrobe room and the needle room on the ground floor. Over these rooms were dormitories with cots for 84 boys; 42 were accommodated on the second floor, and 42 on the floor above. The fire burnt through the ceiling of the first floor, and in this room thirteen of the lads were suffocated by the smoke which came from below; on the next floor 13 are said to have died, asphyxiated by the smoke, but 58 of the lads were safely rescued and lodged in other parts of the building. The work of rescue was both a dangerous and laborious one. Access can be had to these dormitories by an outside staircase but the door of it was locked. The lock, however, was forced and a large number of the children were safely carried down it, through the blinding smoke. Ladders were procured and some were taken out of the windows in that way. One of the attendants (Mrs. Hills), who was sleeping on the third floor, became much excited, and in her trepidation got out of a small window, and slid to the ground down a water pipe at the imminent hazard of her life. She, however, escaped in safety. Mrs. Day, another attendant who was sleeping in the same room as Mrs. Hills, jumped from the bedroom window on to the roof of the dining room, a dozen feet below, and in so doing rather seriously injured her ankle. She was assisted down from the roof to the yard below and reached the ground in safety. During the morning the schools were visited by Mr. H. J. Cook, the chairman of the Committee of Management, and Mr. W. Vallance, the clerk of the Committee. Several members of the Corporation also visited the spot, as well as Mr. Angell, borough engineer. Augustus Flowers, aged 10, of 1, Laura Cottages, Millwall ; Theophilus Flowers, aged 9, 1, Laura Cottages, Millwall; John Jones, aged 7, 4, Island Street, Brunswick Road, Poplar; John Taylor, aged 7, 3, Amiel Street, Bromley; Michael Vassum, aged 8, mother in Whitechapel Workhouse; Frederick Smith, aged 9, 50, Church Street, Whitechapel; Edward Kilburn, aged 9, mother inmate in Poplar Workhouse; John Joyce, aged 10, 61, Apperion Road, Bow; Richard Page, aged 7, 45, Vanne Street, Bromley; James Potts, aged 10, 4, Newham Buildings, Pelham Street, Whitechapel; William Hume, aged 9, 52, Railway Street, Bromley ; Frank Chalk, aged 7, of Whitechapel; Herbert Russell, aged 10, mother in Croydon Workhouse; James Rolfe, aged 8, 61, Milton Road, Bow; Thomas North, aged 12, of Poplar Union; Walter Searle, aged 9, an orphan, from Poplar; Charles Biddick, aged 12, 4, Medway Road, Mile End; Frederick Scott, aged 7, 9, Oliver's Court, Bow Road; Henry Sowerbutts, aged 10, mother in Poplar Workhouse; Gilbert Allison, aged 10, 3, Charles Street, Millwall; Thomas Hughes, aged 11, father in Poplar Workhouse; William Dawson, aged 7, mother in Bow Infirmary; Frederick Wigmore, aged 8, mother in Croydon Workhouse; William Sillitoe, aged 9, father in Whitechapel Infirmary; Arthur Pigeon, aged 9, 31, Burdett Road, Bow; Albert Smith, aged 12, 14, Mansfield Road, Millwall. By noon 14 out of the 26 bodies had been identified by the official of the school, but only the bodies of the brothers Flowers had been identified by their brother William. The dead bodies of the unfortunate boys lay in two rows along the sides of one of the sick wards of the schools. Parents or friends having boys in the home, and naturally apprehensive as to the fate of their offspring were continually arriving, and within the four walls of this impromptu mortuary sorrowful scenes were enacted men and women scanning with well-nigh unnatural eagerness the faces of the small, cold forms around. The children lay wrapped in blankets, with the faces only exposed, and a glance at the features was enough to show that in 25 of the 26 cases death was due purely to suffocation; the expressions upon the faces are in most cases those of children "caught in sleep." One poor bairn lay face on hand, others had the mouth open indicating the sound sleep of childhood, while scarcely upon one of those cold, upturned faces was there a feature distorted by agony. The body which is burned is reduced almost to a cinder, and its identification will be a matter of great difficulty. Much assistance was rendered to the school officials by Mr. Thomas Oakley, of 24, Tower Hamlets Street, Mr. W. George Oakley, his son, and Mr. John Malcolm and his son, who live next door. 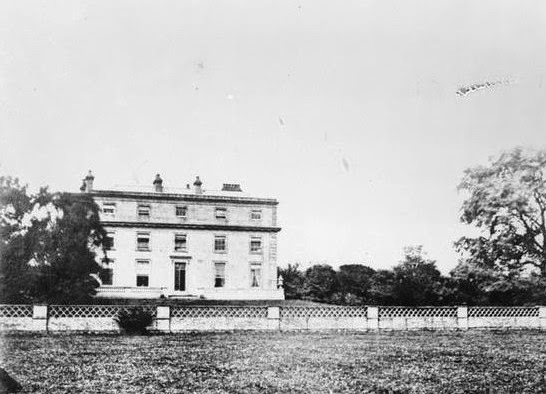 The yards of the house occupied by Messrs. Oakley and Malcolm adjoin the outer wall of the school premises. Young Mr. Oakley's parents had retired, but he was sitting up awaiting the return of his sister from a watch night service. He heard cries of fire, and went into the yard, when he saw smoke proceeding from the schools. He at once aroused his father, and Mr. Malcolm and his son were also called. All four climbed the boundary wall of the school premises, and assisted the yardsmen to remove the boys. The smoke was so thick that they could not see the boys, but they could hear their cries. They helped Mrs. Hill and Mrs. Davy to alight from the roof of the dining hall. I was in bed, though not quite asleep, when I smelt a strange odour. I went downstairs, and then saw flames at the top of the partition between the wardrobe-room and the needle-room. I went back and called Miss Terry. I rang the bell on the staircase, and called up all the other officers. This was about 20 minutes past 12. Miss Terry ran up and got the keys from the officer who kept them, while I rang the bell. Then we both ran downstairs, and unlocked the dining-hall door. She ran to wake the matron, while I ran across the dining-hall and went to Miss Collyer's room. By the time I got back all the officers were aroused. Mr. Duncan, the superintendent, with the 'Fire Queen' machine on his back, began to play upon the flames. By this time the smoke had become so dense that I was nearly overcome, and had not Miss Terry caught hold of me I must have fallen. How Mr. Duncan remained so long as he did in the smoke I don't know, but he stayed there playing on the flames with the 'Fire Queen' until the arrival of the firemen. Meanwhile the other officers - Mr. Elliott, Mr. Hare and Mr. O'Brien - were getting the boys out, and they rescued all who were saved. Those who lost their lives were apparently suffocated, for only one body appears to have been burnt. Every officer in the building came on the scene within a few moments of the alarm being given. Nothing more could have been done, and the utmost was done to save the boys. We have passed through a dreadful night, and one which we shall never forget so long as we live. Miss Terry, head sewing mistress, corroborated Miss Bloomfield's statement. She adds that she herself had the presence of mind to place a thick cloak across her mouth, and thus, being not so much affected by the smoke as Miss Bloomfield, was enabled to assist her at the time she needed help. She went through the wardrobe-room with Miss Bloomfield between ten and eleven o'clock to see that all the fires and lights were out, and to lock up. Miss Bloomfield's room is the first room on the first floor, and as she usually sleeps with her door open, the smoke gained easy access to the room. She had only just retired, and consequently was on the alert in a moment. Miss Terry was unable to give an opinion as to the cause of the fire, but stated that the heating pipe had been swept at five o'clock the previous afternoon, and the sweep had requested that the fire should be lighted in order to see whether it burned all right. This was done with apparently satisfactory results. The wardrobe-room was fitted up with little square racks, in which the children placed their clothes. The insurance company had insisted upon a large space being left around this pipe, and this was done. While the school authorities had not placed any of the clothes' racks near the pipe, they had never known the pipe to become overheated before, and had no reason to suppose it was overheated on the present occasion. George Hare, a young fellow, aged 22, who is engaged as yardsman and slept on the top floor on the dormitory, says that he was first awakened at about twenty-five minutes to twelve o'clock by the boys calling out. The gas had been put out at eight o'clock, and he went to bed at half-past nine. When he awoke the top dormitory was full of smoke, and he could hardly see any of the lads. He rushed first to the door leading down to the dining hall, but the smoke on the landing was so dense that he had to turn back. He then rushed to the external staircase, calling to the boys to follow him, and driving some on in front. As he passed the dormitory beneath he found that also full of dense and pungent smoke. He helped some of the lads out and when he reached the bottom of the stone staircase he found that the outer door had already been forced open from the outside by Mr. Elliott, one of the officials of the receiving ward. Eyre and Elliott afterwards groped their way upstairs, and brought several lads down, and Eyre went up a second time and brought out a boy who stood on a staircase perfectly motionless. He brought him out, and then essayed to return but the smoke was too dense, and suffocating. Then Mrs. Hill, one of the scullery maids, got out of one of the top floor windows, and went down a water pipe. In the same room was Mrs. Davies, a bread-room maid. She jumped through the window on to an outhouse, and was rescued by the men. This was an extraordinary leap. The distance must have been fully 12 feet, and was in a slanting direction - to the right - from the bedroom window to the roof, where the slates are broken by the force of Mrs. Davies' fall. How she escaped serious injury is a marvel. The sewing-room and wardrobe-room are completely wrecked by the fire, and in the dormitory immediately above (No. 9 dormitory) the damage done by the flames is also very considerable, but in the top-room (No. 10 dormitory), the damage is comparatively slight. And yet in the topmost dormitory the number of dead was as great, if not greater than in the room below, plainly showing that death was by suffocation. The number of children now in the institution is nearly 550. The clothing in the wardrobe room was that of the girls with the underclothing of the boys. At the further end of No. 10 dormitory - the end opposite to that by which access is usually gained - there is a second staircase (we believe, of wood) which is considerably scorched, whilst outside the window another means of escape in case of emergency has been provided. The window had only to be opened and the children could drop onto a lead-covered platform, from which, by easy stages, they might slide down to the ground. We are informed that the West Ham Cemetery officials have offered ground for the internments. 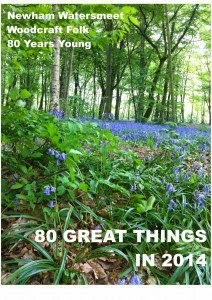 The fifty-eight lads who were so happily saved are now none the worse for their peril. Their memories of their awakening are, however, confused. Some were aroused by the coughing of a comrade, and jumped out of bed. Many not realising what was happening, and half asleep, returned to the warm bed clothes again, and now lie in blankets on the infirmary floor. Even one of the men is said, when told of the fire, to have answered, "Nonsense; they are only getting the fire ready for the pudding." One or two boys in the lower dormitory jumped out upon the window ledges. Others were dragged out by their brothers or companions. One lad told how he heard Elliott (who was the first to enter No. 10) shouting through the smoke, "Come out, boys!" Did he know Elliott's voice? "Certain, 'twas Elliott that was sent to hunt 'em up when they ran away." Jones, a smart boy, heard another boy cough, leaped out of bed and went to look for his little brother. Little brother insisted upon putting on his socks before he left the ward, and fell down on the floor never to rise again. Jones began to choke too, but was hauled out by Elliott into the fresh air. A small chap now broke in, pointing to a still smaller, a child of seven, who had to be collared before he would escape, and the brothers now stood side by side to tell the story the youngest laughing as he confessed, "He hiked me out by the braces, sir." A shock-headed youth, who kept in the background, was strongly suspected of having rescued a comrade by thrashing him into movement. Harrison, sturdy, but not big, came out of the smoke dragging an urchin in each hand. "And I heard Jack say he'd go back for Tommy. He said, 'I'm a goin' to give my life up. I am agoin' back,' " was the statement of yet another, who knew by this time that Jack, alas, was amongst those silent ones in the infirmary. Through the courtesy of the Rev. Deans Cowan, the acting chaplain, a Press representative had the opportunity of seeing the boys who so narrowly escaped. Seated round a fire in one of the wards of the receiving-house were a couple of dozen lads, who stood up to greet their chaplain as he entered. "The first thing I knew was I woke with the screaming. Mr. Hare, the yardsman, sleeps on our floor, and I heard a lot of the boys calling Mr. Hare. We could not wake him, he was so sound. Then I heard Mrs. Hills knocking at the door with all her might." One of the most popular items on this site has been the reproduction of the Forest Gate Times account of Christmas Day in the (Forest Gate) Workhouse, 1896 - see here, last December. 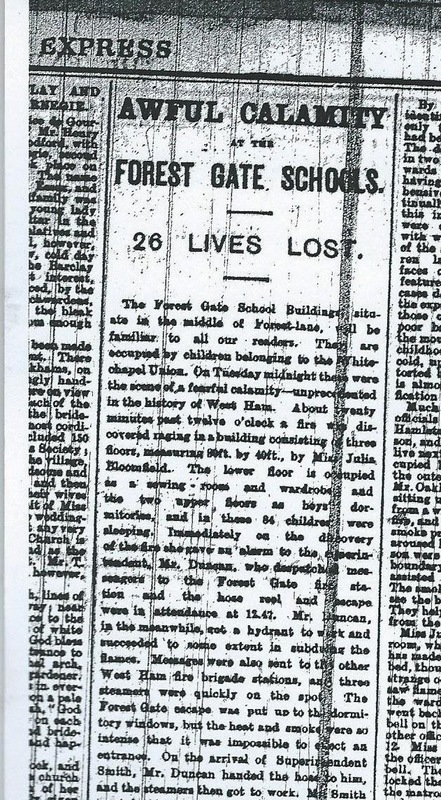 We are following it up, as promised, with a general history of the Forest Lane establishment, and next week will present a very graphic newspaper account of its most tragic moment - a fire on New Year's day 1890 - in which 26 of its pupils were suffocated. The school was erected in 1852-54 by the Whitechapel Board of Guardians, and since that time has undergone several changes of ownership and uses, including as a workhouse, general and then maternity hospital. It is currently a residential development - Gladys Dimson House. The building was initially constructed to provide a school for boys some distance from the choked inner districts of East London. It was used as an Industrial school from 1854 to 1906, formally becoming part of the Forest Gate School District in 1868. It was converted to an annex to the Poplar Workhouse between 1908 - 1911, when it was bought by the West Ham Union (Poor Law Guardians), which then reopened it in 1913 as a workhouse infirmary. 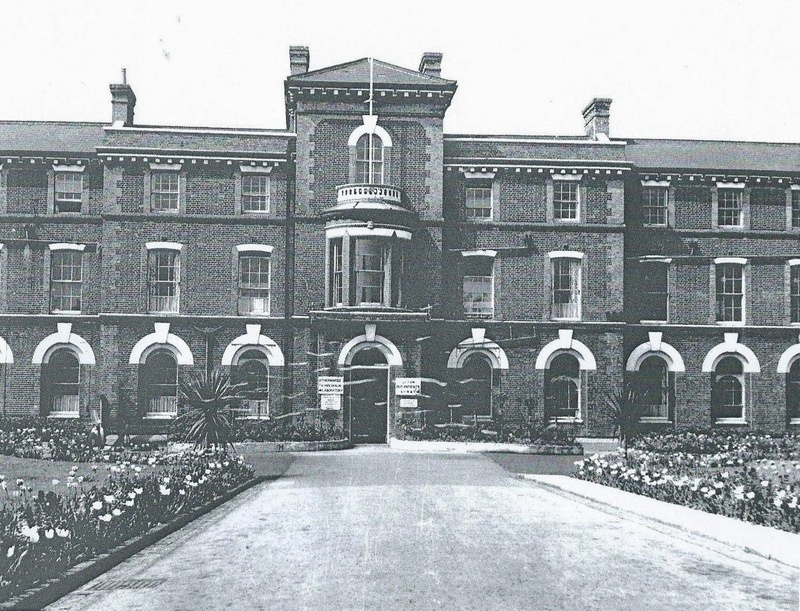 The site was converted, yet again, into the Forest Gate Sick Home between 1913 and 1930, by which time it had 500 beds for maternity, mental and chronic sick cases. An extension with 200 beds was added in 1931. It formally became the Forest Gate Hospital (maternity) from 1929 - 1973. The hospital suffered severe bomb damage in 1940 and new maternity wards were built in 1950. The 1890 fire was undoubtedly the most significant event of its century and a half plus history. There had been a number of fires in Industrial Schools throughout England in the 1850's - 1880's, and so, in 1882 the Local Government Board urged local Poor Law Guardians to make proper fire escape provisions. 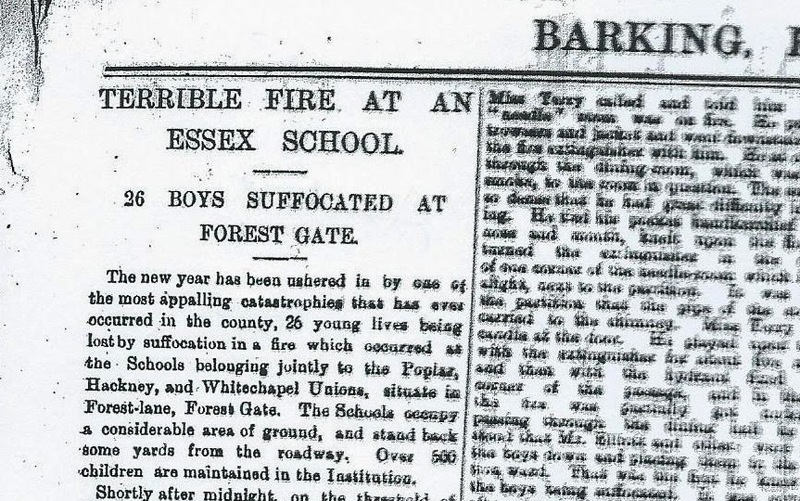 The fire in Forest Gate in on New Year's day 1890, however, when two dormitories were destroyed and 26 boys under the age of 12 were suffocated lead to the government taking more urgent action. 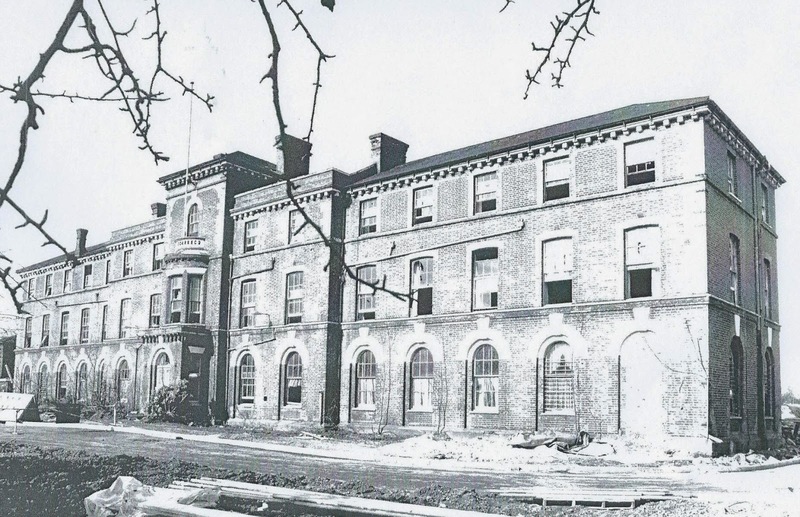 It issued a binding circular to all Boards of Guardians urging the importance of leaving dormitory doors unlocked at night, conducting fire drills and establishing voluntary workhouse fire brigades, maintaining telephonic communications with fire stations wherever possible and providing fire escapes. The disaster caused similar institutions to review fire precautions and stimulated interest in 'scattered home' instead 'barrack' schools. Poplar Poor Law Union continued to maintain the school until 1906, when the children were transferred to a new school at Hutton, Essex. The second World War provided more dramatic moments for the establishment (by now a hospital) It was hit directly, or collaterally on five nights/days during the war. These were on 2 October, 1940 (hit by high explosives); 9, October 1940 (suffered collateral damage); 15 October, 1940 (high explosives); 9 December 1940 (incendiary bombs); 3 March 1943 (collateral damage) and 29 Jan 1944(hit by a flying bomb). Although there was considerable damage as a result of these actions, thankfully, they resulted in only one direct death, Elizabeth Sinclair, aged 61 - on 2 October 1940. The photo below shows a limited amount of damage to the hospital (mainly windows) following the bomb two months later, on 9 December 1940. 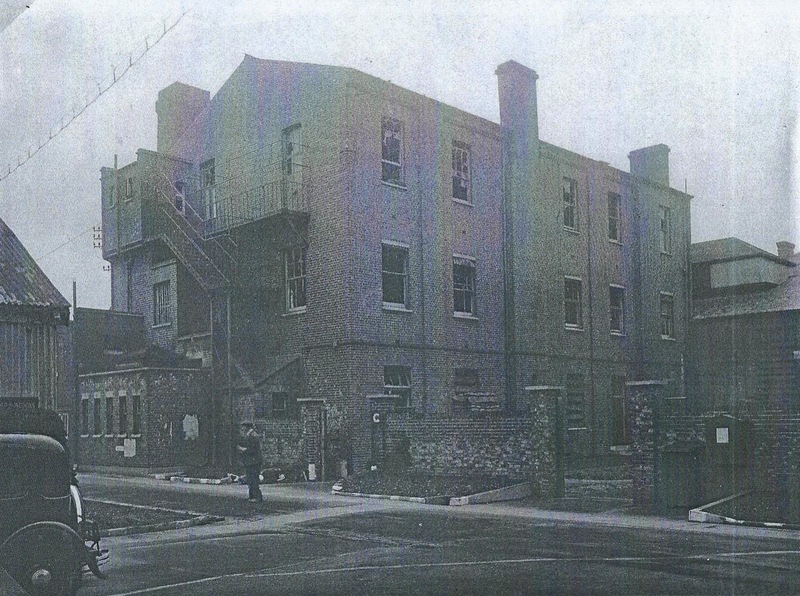 Although the Forest Lane institution was this area's largest visible connection with Poor Law and workhouse institutions, there were other, notable local facilities. From 1870 -75 the Forest Gate District School operated a training ship called The Goliath, moored on the Thames. 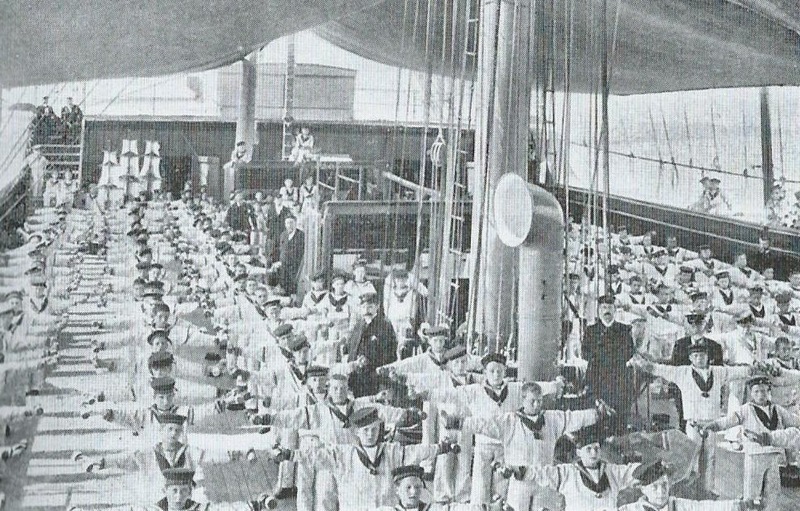 This provided pauper boys from the District with instruction in all aspects of seamanship to help equip them for entry to the Royal or Merchant Navy. 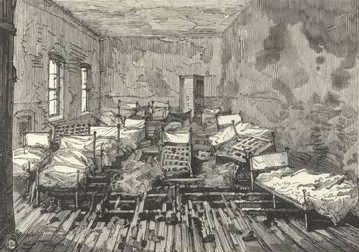 The scheme was highly successful, although, in another appalling tragedy affecting the Forest Gate workhouse institutions, it was destroyed by fire on 22 December 1875, with the loss of 23 lives. Its replacement, The Exmouth, was moored off Grays in Essex and continued the role. This, however, was managed by the Metropolitan Asylums Board. 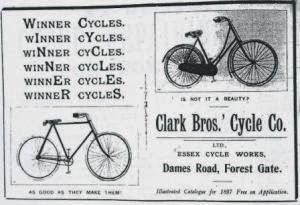 It took boys from all over London, and from the 1890s, from beyond the capital. By this time it was training as many young boys for navy life as all other similar institutions in rest of the country, together. The Forest Gate Industrial school was not the first of its kind in Newham. The Stepney parish of St George's -in-the East established an industrial school at Plashet in 1851 - 52, at the junction of Shaftesbury Road and Green Street (see figure) for its pauper children. It accommodated 150 boys and 120 girls and 80 infants. In addition to the school rooms and dormitories it had a wash house and a laundry. Animal husbandry was taught to girls and boys alike in the farm complex on the girls side of the establishment. This included piggeries, a stable and cow-houses. Other detached buildings on the site included a bailiff's house, a porter's lodge and an infirmary. 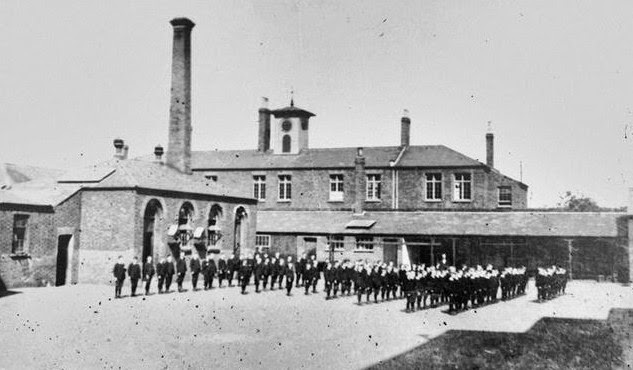 Although in open countryside at the time of its construction, the school became engulfed in urban sprawl by the 1890's, as a result of the rapid population growth in the area. 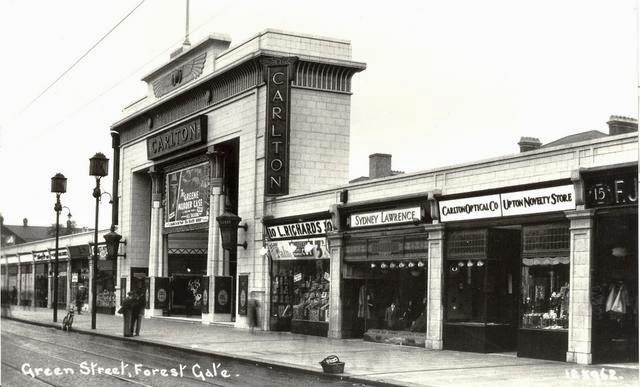 It closed in 1927 and the building was converted into the Carlton, later ABC Cinema and several shops. These closed in 1983 and the site is now a car park. 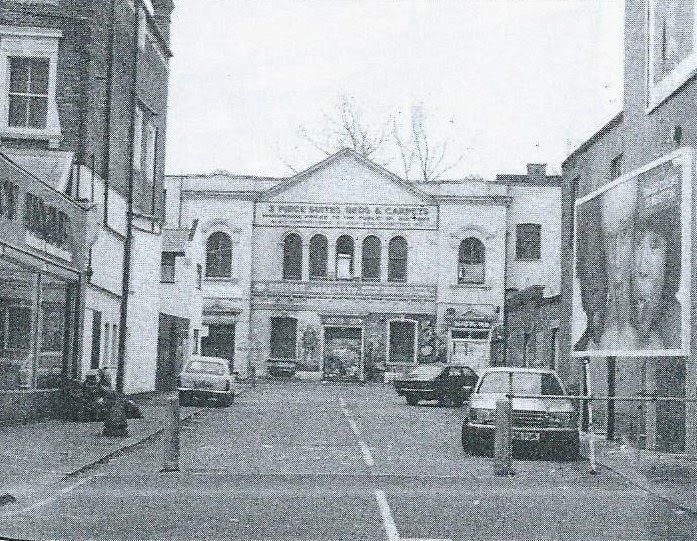 Carlton Cinema stood in Green Street. shops along the Green Street frontage. 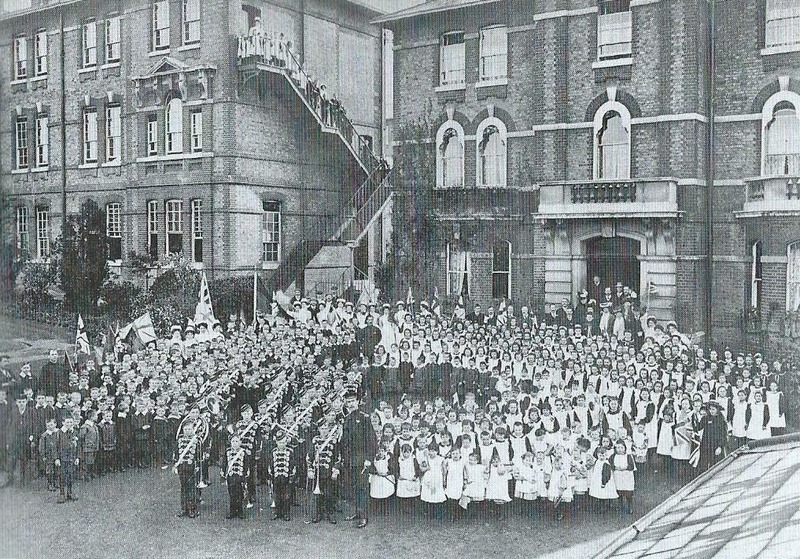 St George's was one of three such schools in East Ham. Another was St Nicolas RC school, Gladding Road, Manor Park. It was opened in 1868 in the Manor House (one of the Fry family's homes) and was closed in 1925 and sold to the Co-op. The third East Ham Industrial school was St Edward's RC, opened in 1875 at Green St House (the Boleyn Castle). It closed in 1906 and is now part of the West Ham FC grounds. 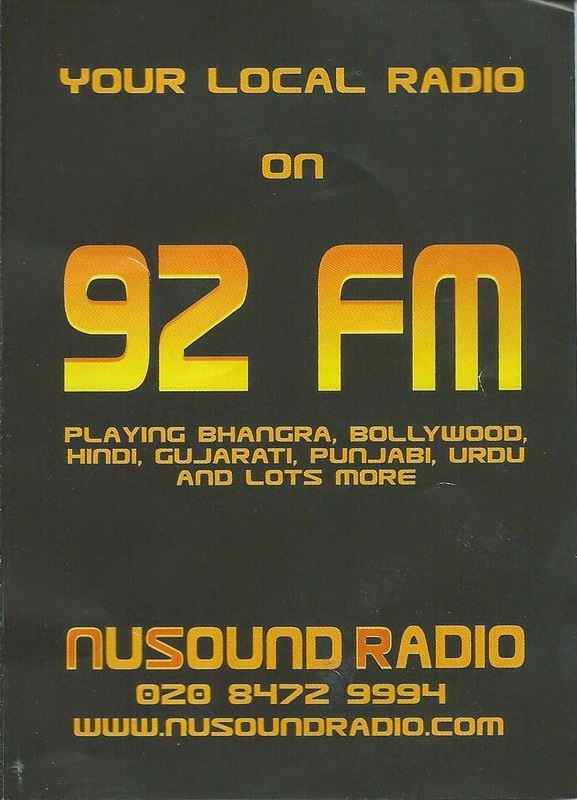 Nestling in a small room within Durning Hall, in Earlham Grove, is Forest Gate's very own radio station - NuSound Radio - 92 FM. It's a real community station, catering for a range of local Asian communities, and with a good programme mix, appealing to all local residents. Thursdays, from noon til 1 pm is local Community Hour, presented by Pete Day, who has broadcasting in his bloodstream. His show is a mixture of news, views and interviews of interest to local people, often very directly to Forest Gate. Last Thursday he featured a chat about Woodgrange Road's former Upper Cut club. Below is the link to his own website (www.radiopete.org), and Pete's own write-up of the session, from his site. NuSound Radio 92FM invited John Walker along to the studio to tel us about the Upper Cut club in Forest Gate. Although open for only a year back in the heady 1960′s it hosted many top groups. Run by local boxer Billy Walker, it is also said to be where Jimi Hendrix wrote Purple Haze. We feature Pete's write up of some of them, below. Listen to the archives - and tune in, in future! The Spotted Dog Pub in Upton Lane, Forest Gate has been closed for over ten years. A listed building it is reputedly where Henry VIII kennelled his hunting dogs. NuSound Radio 92FM invited Mark McGlynn from the Save the Spotted Dog Campaign along to the studio to talk about plans they have for the building. This posting is one of our regular, monthly updates on those appearing at Woodgrange Road's Upper Cut Club, 47 years ago - in April 1967. It would be harsh to describe it as a bit "after the Lord Mayor's show", coming on the heels of March's fabulous Stax tour, but it must have seemed like a bit of an anti-climax to local attendees. Sheffield born Dave Berry has been on the road since 1963, but had probably had his most successful days by the time he appeared at the Upper Cut. He was much influenced by Elvis and Gene Vincent and his act was, in many ways, a prototype for Alvin Stardust. He appeared with the Cruisers, who after many personnel changes, are also still on the road. His best-remembered hits are Memphis Tennessee (a cover of the Chuck (no-relation) Berry hit), The Crying Game (both 1964), and 1965's Little Things, a cover of a Bobby Goldsboro number. He has gained a bit of recent prominence for the way in which two of his hits have been reissued. The Crying Game was used as the theme tune for the eponymous film and, perhaps less artistically - although probably more financially - satisfying, his Little Things has recently been adopted to promote Andrex toilet paper. Chris Farlowe - or John Henry Deighton as he was named - similarly, is still on the circuit as an enjoyable blues and soul singer who can still knock out an old classic, with some style. He has been backed by the Thunderbirds (who were with him at the Upper Cut) and later Coliseum. His best known hits were covers of Rolling Stones records - mainly before the Upper Cut gig - most notably Out of Time and the Mike D'Abo penned Handbags and Gladrags (published after the Forest Gate outing), which was later covered by the Stereophonics and used as the backing for Ricky Gervais' The Office. Farlowe is a collector of war memorabilia and some while ago received bad publicity for trading in Nazi materials. He has run an antiques shop, trading, somewhat opportunistically, under the name Out of Time. Less than a week later competition loomed on the horizon for the very successful Upper Cut, from just across the road, over what would have been a Burtons' outfitters and is now the 99p stores. Above the shop, in a former snooker hall, was the Lotus Club. We hope to bring a fuller history of that club after our monthly round ups of the Upper Cut have dried up. 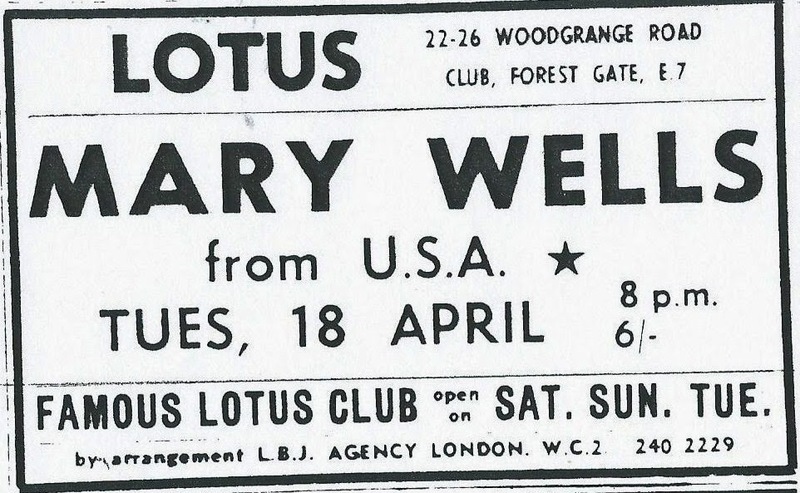 April 14 saw an appearance from "the queen of Motown", Mary Wells. She had a career plagued by ill-health and died in 1992 of cancer. She appeared in Forest Gate a little after her marriage to Cecil Womack, of that famous family, and two years after her greatest hit, My Guy. Alan Price headed the bill in the middle of April 1967 on Woodgrange Road. Having started his successful musical career, and playing a significant part in their early hits, with the Animals, he left his fellow Geordie band in 1965 to set up the more jazz-influenced Alan Price Set. By the time of his Upper Cut appearance he had had big UK hits with I've Put a Spell on You and Hi Lili, Hi Lo and was on the point of releasing Simon Smith and His Amazing Dancing Bear, which may well have had an airing at the Upper Cut. The Alan Price Set, in a variety of different formats, has continued to tour, until this day - often appearing on bills with such contemporaries as Georgie Fame (another Upper Cut performer), Maggie Bell and The Manfreds. April was concluded by two very different acts. 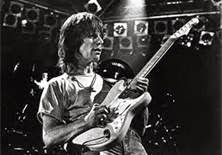 The last Friday of the month saw Jeff Beck (as the promotional literature said "singing his latest hit Hi, Ho Silver Lining"). Jeff was a Croydon boy, who replaced Eric Clapton, for a short while, in the Yardbirds, on Jimmy Page's recommendation. The band was probably at its most successful in his twenty month tenure there. voted fifth best guitarist - ever! Beck has gone on to play with the Who's Who of almost every significant popular musician of the last half century and was voted number 5 in Rolling Stone magazine's list of the world's top 100 guitarists. "He is regarded as one of the most important figures in the history of ska and rocksteady music. The records he released in the 1960s influenced and shaped the course of Jamaican contemporary music and created a legacy of work that later reggae and ska artists would draw upon." Six months before his Upper Cut appearance he had appeared with Millie in a show based around her seminal My Boy Lollipop. His biggest hit, Al Capone, had been released just two months before the Upper Cut gig, and was soaring in the charts at the time he played Woodgrange Road.